(1) Dong K, Deng J, Ding W, Wang Z L, et al. Versatile core-sheath yarn for sustainable biomechanical energy harvesting and real-time human-interactive sensing. Advanced Energy Materials, 2018, 8:201801114. 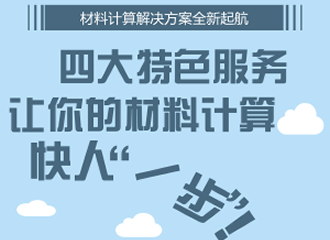 (2) Lai Y C, Deng J, Liu R, Wang Z L, et al. Actively Perceiving and Responsive Soft Robots Enabled by Self-Powered, Highly Extensible, and Highly Sensitive Triboelectric Proximity- and Pressure-Sensing Skins. Advanced Materials, 2018, 30(28):1801114. (3) Dong K, Deng J, Zi Y, Wang Z L, et al. 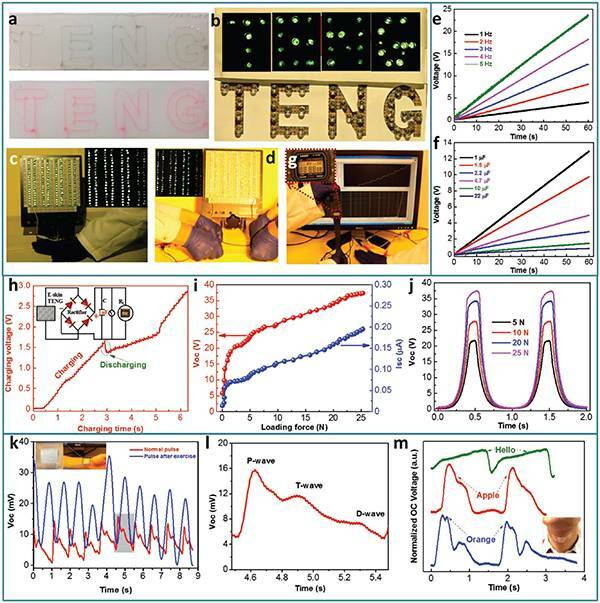 3D Orthogonal Woven Triboelectric Nanogenerator for Effective Biomechanical Energy Harvesting and as Self-Powered Active Motion Sensors. Advanced Materials, 2017, 29(38):201702648. (4) Deng J, Kuang X, Liu R, Wang Z L, et al. 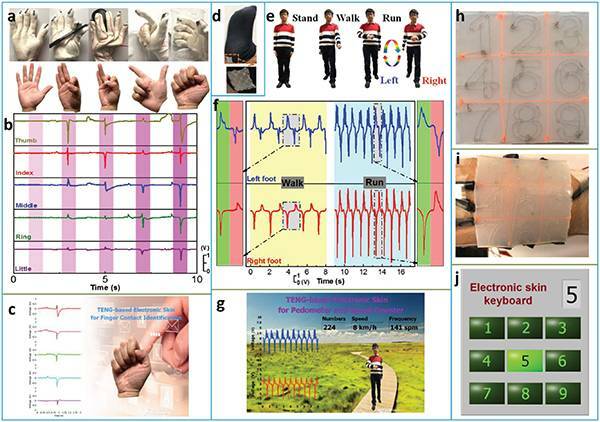 Vitrimer Elastomer-Based Jigsaw Puzzle-Like Healable Triboelectric Nanogenerator for Self-Powered Wearable Electronics. Advanced Materials, 2018, 30(14):1705918. (5) Dong K, Wang Y-C, Deng J, Wang Z L, et al. 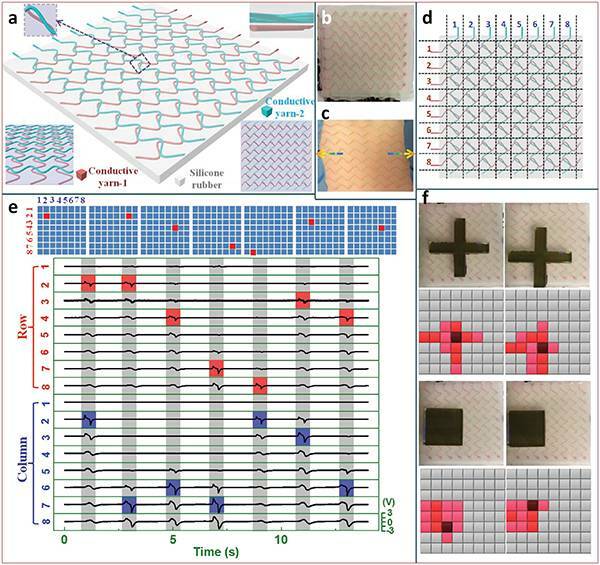 A Highly Stretchable and Washable All-Yarn-Based Self-Charging Knitting Power Textile Composed of Fiber Triboelectric Nanogenerators and Supercapacitors. ACS Nano, 2017, 11(9): 9490-9499. (6) Chen J, Huang Y, Zhang N, Wang Z L, et al. 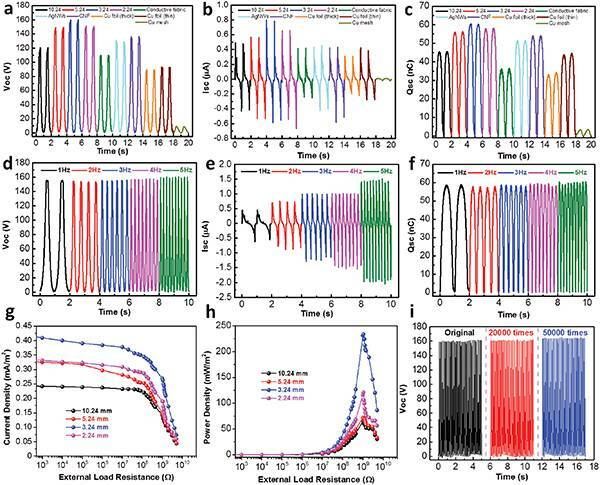 Micro-cable structured textile for simultaneously harvesting solar and mechanical energy. Nature Energy, 2016, 1(10):16138. (7) Wen Z, Yeh M H, Guo H, Wang Z L, et al. 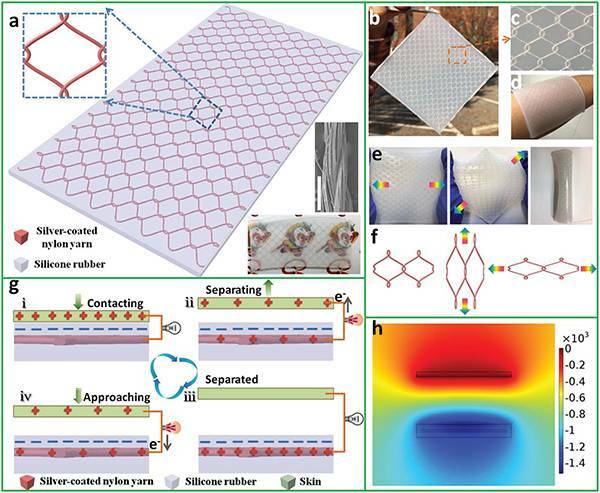 Self-powered textile for wearable electronics by hybridizing fiber-shaped nanogenerators, solar cells, and supercapacitors. Science Advances, 2016, 2(10):e1600097. (8) Pu X, Li L, Liu M, Wang Z L, et al. Wearable Self-Charging Power Textile Based on Flexible Yarn Supercapacitors and Fabric Nanogenerators.. Advanced Materials, 2016, 28(1):98-105.